Rentech Middle East, a company committed to the propagation of cost-effective clean water storage, renewable energy and clean environment has introduced state-of-the-art Ionic Air Purification technology air purifiers in Bahrain. The company, part of a Bahraini group with interests in plastics, aluminum and telecom, supplies, installs and services a full range of sectional and polyethylene water tanks, air purifiers and solar water heaters. “Indoor air quality is estimated to be three to five times more polluted than outdoor air and is especially harmful to pregnant mothers, children, aged, sick and infirm. Polluted air is a major contributor to ailments like heart disease, stroke, lung inflammation and infection, asthma, lung cancer, liver, spleen and blood disease, and also affects the reproductive system. In addition, it also causes headaches, decreased IQ and inflammation of the eyes, ears and throat,” a company spokesperson said. The Ionic Wind Filtration technology of the Airdog X5 cleans out microscopic particles down to 0.0146 microns, and has been proven to remove 99.99 per cent of formaldehyde and other harmful pollutants like dust, smoke, pollen, pet dander, bacteria and virus from the air, he said. 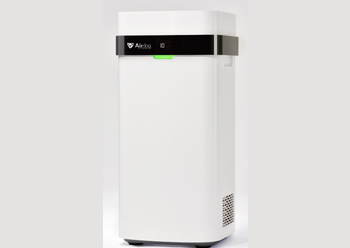 “It is vastly superior to any of the more traditional air purifiers, is virtually silent during use and its washable filters, unlike HEPA filters, eliminate the need for periodic replacement and enable easy maintenance. An optimised, aerodynamic design that enables high-volume airflow means your air gets cleaner, faster and more quietly,” he added.